CBSNews.com has some information and preview images on its new look that’s currently in private beta. Another image and commentary after the jump. The new look is a darker, more elegant design that is likely aimed to match the new look for the “Evening News” graphics that debut tonight. The new layout has a slideshow-style top stories section along with boxes for headlines and exclusives. 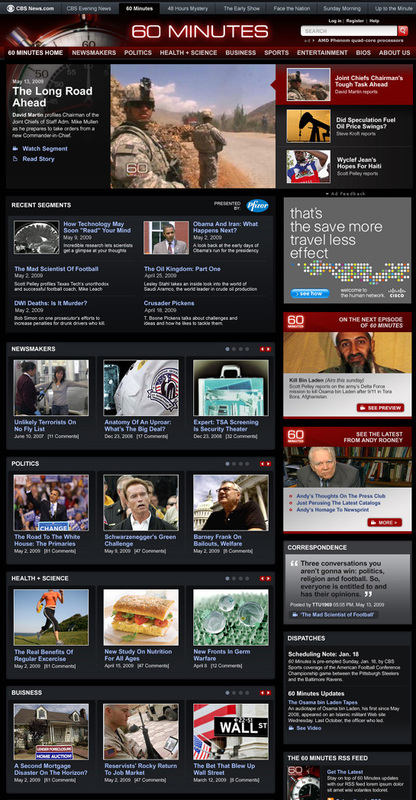 The lower part of the page takes an approach similar to MSNBC.com with horizontal sections of category-specific content arranged in multple columns. While the new look is certainly more sophisticated, it still suffers from being rather cluttered (a problem with almost every news site out there). It’s also interesting that the designers chose a newspaper-style centered logo and didn’t make use of the space to either side. 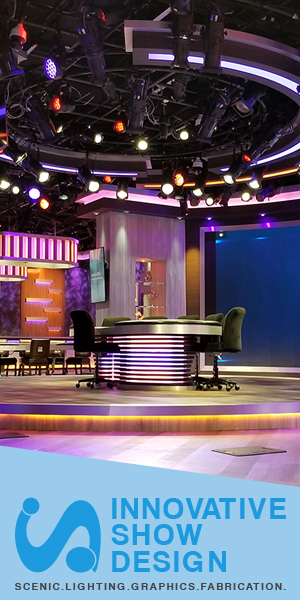 Show-specific pages, like the one show below, appear to be fully-branded to the individual program. The “60 Minutes” look does a nice job of incorporating the show’s graphical look into the design and also offers a large area for showcasing stories. There’s also a convenient horizontal sub-navigation bar running along the show logo.